The one thing I run into all the time with Local Business owners who are new to Facebook is the fact they know how important it is for their business to have a presence on Facebook but they themselves don’t understand it and some of them shy away because of fear of the unknown. This HOT (Hands on Training Course) will get you familiar with the ins and outs of Facebook so that when you create your Business Page on Facebook you’ll already know about 85% of what you need to know to run a successful Business page. 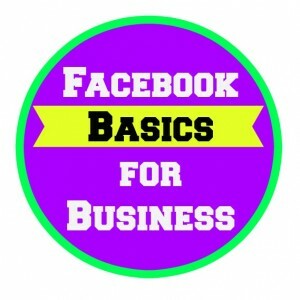 This training is for people of all ages that are new to Facebook and need help navigating and understanding the dynamics of Facebook Basics for Business. This is great for Business owners who know they need to create a Business page on Facebook but don’t know the first thing about Facebook.